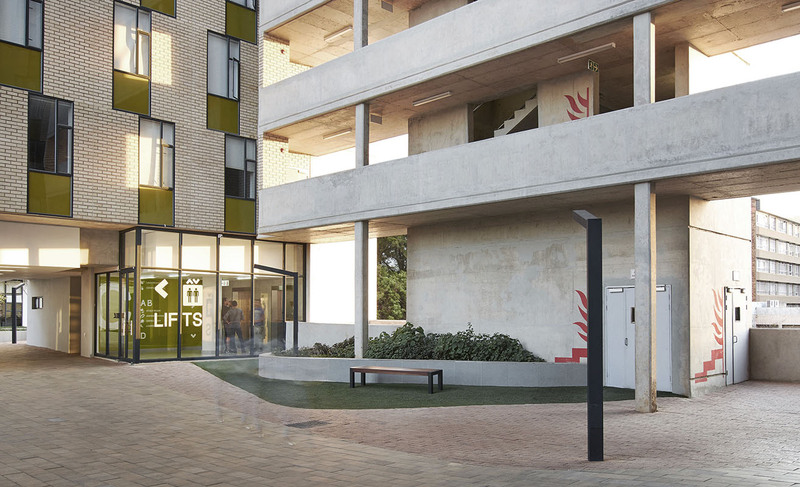 Hatfield Studios is a high-rise high-density student residential development that embraces the ethos of live, study and play. 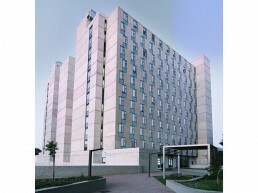 Intersecting the University of Pretoria’s student campus on one side, and the hubbub of Hatfield’s social lifestyle on the other, the building’s architecture reflects this duality. 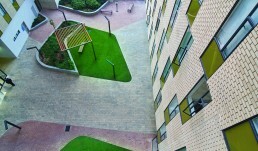 Outdoor shaded seating spots and paved walkways interlink the four high-rise residential blocks. 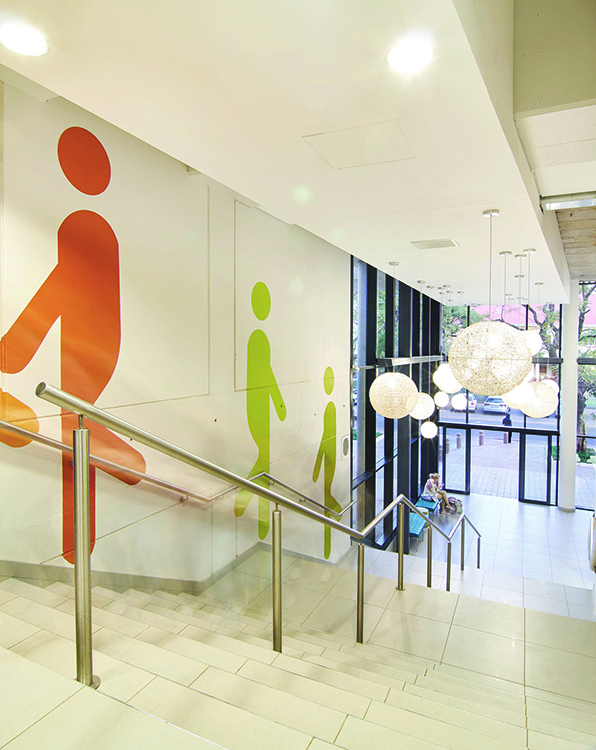 Raised above two levels of basement parking, the lobby acts as a gateway between the public and private realms. Lifts on the podium provide residents with access to the four 14-storey apartment wings, which wrap around an outdoor landscaped courtyard. This is accessed from the podium level and leads to further facilities and amenities for residents. 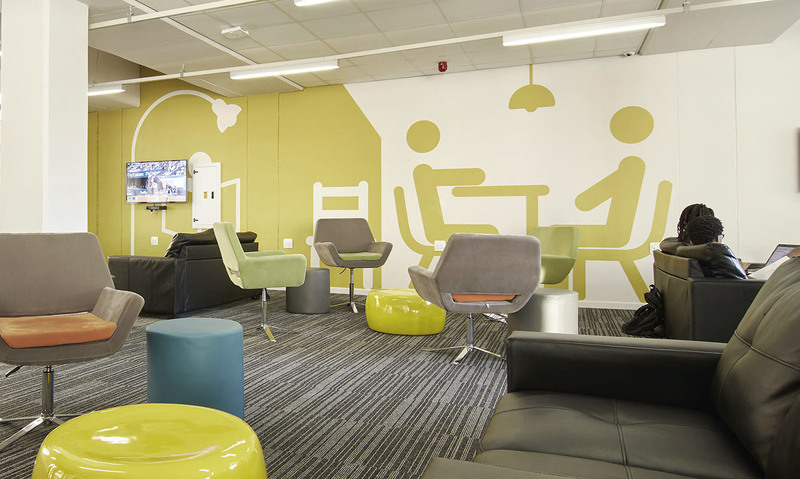 Designed around student life, these facilities provide communal places and spaces where students can entertain, socialise, play and study. 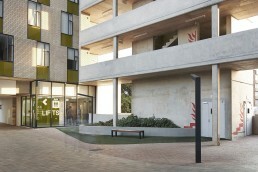 They include a games room, computer and study rooms, kiosk, laundromat, and gym. 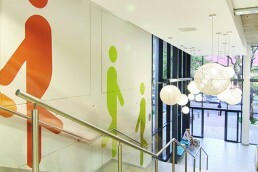 Four apartments for the mobility challenged are located on the ground floor, providing easy access from the lobby. Hatfield Studios focuses on creating a lifestyle for students that provides a healthy balance between their academic needs and purpose on the one hand and their social and community needs on the other. 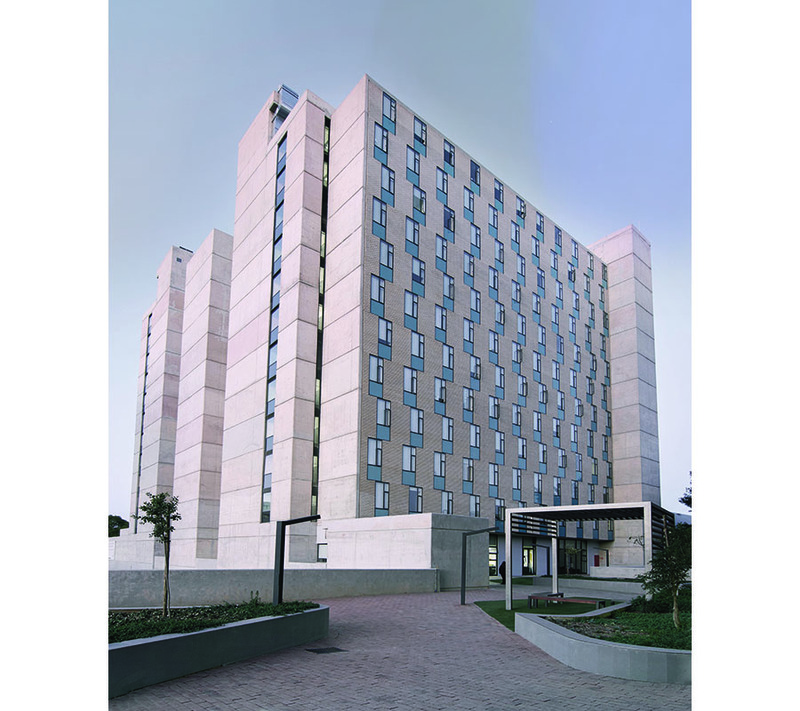 The student accommodation consists of fully furnished deluxe studio apartments with kitchenette, bathroom, and single or double beds. The studios are all approximately 14.5 sqm. In total there are 972 studio apartments, with 242 in each of the four high-rise blocks.